Lindus Construction is the company to call when you need to make improvements to your home in Minneapolis, St. Paul, or elsewhere in the Twin Cities. We’ve proudly remained a family-owned and -operated home improvement business since our founding in 1979. Not only do we provide virtually unrivaled service in the Twin Cities, but we also take great pride in only offering the best products on the market today. We are an authorized distributor of LeafGuard® gutter systems, a state-of-the-art, one-piece seamless gutter system. We are also a GAF Master Elite® Contractor, a status that has been attained by only three percent of roofing companies in the nation. This designation not only means we are the premier installer of GAF roofs in the region, but also that we can pass along their robust, 50-year, non-prorated warranty covering labor and materials. We even received the coveted GAF Triple Star President’s Club designation, which is the highest award a Master Elite contractor can earn. If it’s your windows that need to be replaced, we’re pleased to install SeasonGuard and Infinity® from Marvin® replacement windows. These products, made by renowned manufacturers, will provide long-lasting durability and require very little upkeep over the years. Contact Lindus Construction today for more information on any of the products and services we offer. We would be happy to schedule an in-home consultation at your home in Minneapolis, St. Paul, or Western Wisconsin. We are committed to you and your home. Lindus Construction is trusted within our communities and has earned the highest possible ratings with both the Better Business Bureau and Angie’s List. What started as a two person remodeling company over 35 years ago has grown into a multi-state home improvement enterprise boasting more than 75,000 happy customers. Lindus Construction was awarded the prestigious Angie’s List Super Service Award, an honor bestowed on approximately 5% of local service companies. Even more impressive, it’s our 8th consecutive year doing so. Lindus Construction is proud to now offer Home Performance Inspections. Imagine the ability to transform photos of your home from your smartphone into a customizable 3D model allowing you to make your home improvement visions a virtual reality. This ability is now available to you with a few clicks of a button exclusively from Lindus Construction’s partnership with HOVER. Fill out the form below to gain access! 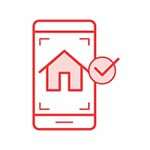 Using the HOVER app capture 8 photos from around the exterior of your home and your photos are automatically uploaded. HOVER will transform the photos of your home into a customizable 3D model. HOVER allows you to make visual changes to your roof, siding, windows and more with the top home improvement products on the market. Don’t take our word for it, just read reviews and testimonials that our customers are saying about us. "We've had Lindus Construction for two different projects. Both times we were very happy. Crews were there on time; the salesperson, Jesse, for our attic insulation, was prompt in answering our questions; and all in all, it was a great experience." - Sharon D.
"Your company excels in the best of everything and everyone. Thank you again for what you do, and who you’ve all proven to be....simply the best!" - Chloe S.
"I have been incredibly pleased with all the work that Lindus has done at my home roof, gutters, insulation, egress window, and 3 major remodels over the years. I'm a great fan of Lindus and all the people that work with and for them. Plus follow up is outstanding if there are questions. I am an extremely happy customer, and looking forward to my next project with Lindus." - Annette A. "This is a wonderful company to work with on roofing and gutters! They are very professional and they care about their customers." - Marietta D.
"It has been reassuring that Lindus does prioritize customer service and quality craftsmanship. Thank you!" - Anna & Tom E.
"This is my second experience with your company and I have been very satisfied with my gutter system. Adam and his co-worker were very patient working with me to make a good change in the original plan-it is performing well. So yes, I would recommend Lindus as a reliable company to others." - Jan B. Dry rot on a home less than two decades old led this Twin Cities couple to make the switch from brick and vinyl siding to LP® SmartSide® and Versetta Stone®. The end result was a tremendous enhancement to the home's already attractive curb appeal. SeasonGuard double hung windows proved to be the perfect choice for this 1950's era Minneapolis home in the Windom neighborhood. Find out why!